We went to La Madeleine for lunch yesterday after church, which is always one of our favorites. Annelise is old enough now to scout out and claim a table for us while Scott and I go through the line, which is a total La Mads game changer when it's crowded. As we were finishing up getting our drinks and about to move our trays on toward the lemons a young girl, probably close to Annelise's age popped up right in front of me, totally up in my personal space, to refill her drink, which included rinsing out her glass, haphazardly filling with ice as one errant cube landed in my tomato basil soup and then getting her fresh Dr. Pepper. All without an "excuse me" or at least a "whoopsises" as her ice splashed into my soup. Time seemed to slow down as I tried to keep my face calm but I'm fairly sure my right eyebrow raised involuntarily just the same and I debated with myself as to whether I was bold enough to say something to her about her intrusion. Was I going to be one of those women? As it turns out, I wasn't brave enough, but I did stare at her with all my might. Scott even giggled a little because he could no doubt sense my mood and the girl actually said, "What?" My belabored spooning of her wayward ice cube out of my tomato basil was completely lost on her. I dd however turn the incident into a preventive life lesson for Annelise. 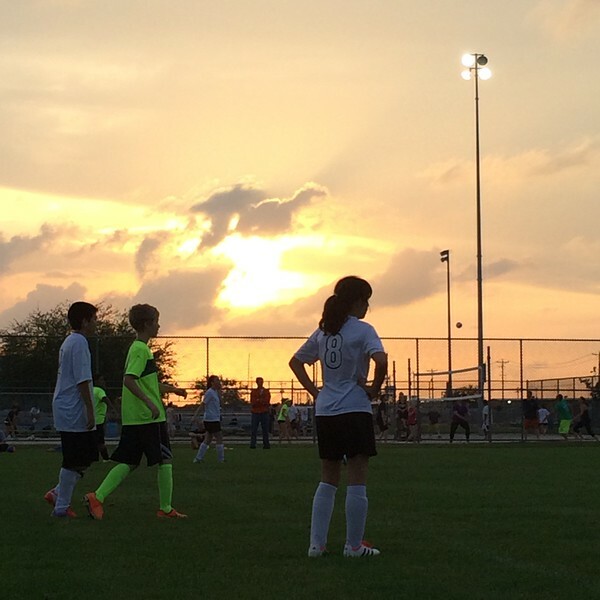 In other news, soccer is getting back into full swing and Annelise has been loving every minute of it. Last week they had a friendly scrimmage with another team for an extra practice. It was really nice to watch the game and the sunset all at the same time. This year wasn't quite as crazy as past years, which was nice. This is her outfit for jazz, which she'll be dancing to Taylor Swift's song, You Belong to Me. Annelise is only dancing two routines this year since it's a play year. 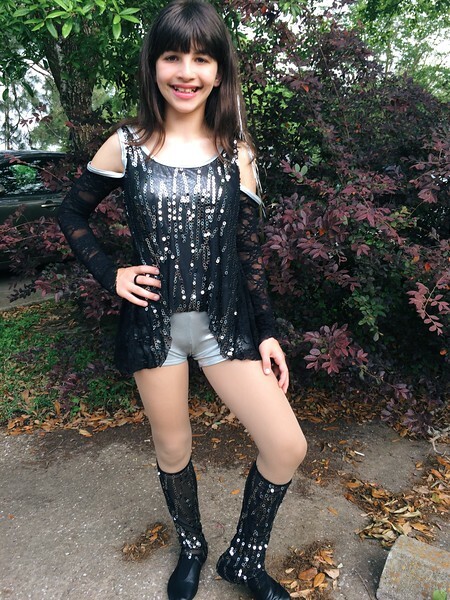 The first act will be a variety and the second act will be The Wizard of Oz, where Annelise will be a lion tap dancing to "I'm a Mean Ol' Lion" from The Wiz. It's a fun routine and her lion costume is really cute, but there is a fur head piece involved and head pieces, especially furry ones, are her nemesis.